Driving to work this morning and Mr. Steingrímur J. Sigfússon Iceland’s Minister of Industries and Innovation is on The Today programme being interviewed by Sarah Montague. He was there to answer the charge that Icelandic (and Faroese) fishermen are performing a mugging job. It was not clear whether it was the mackerel or Scottish fishermen (who had used the phase) who were being mugged. He made it all sound very unfair and basically it was the mackerel’s fault. As a result of climate change they had followed their noses to where the food was and unfortunately this was within the waters of Iceland and the Faroe islands. The mackerel were ‘grazing’ in these foreign waters and having the temerity to eat the fish that the local fishermen would otherwise be catching. This was putting out the biomass and although he didn’t quite say it the suggestion was that they were going to have to haul ever greater quantities out of the water until the balance was put right. Reassuringly he told us that they calculated that there is now approximately 1.5 million tonnes of mackerel within the Icelandic waters. These make up some 25-30% of the entire mackerel stock. Doing some very rough calculations and on the basis that an average sized mackerel weighs about 500g that is roughly 2,000 mackerel per tonne, a total of some 3,000,000,000 which I think is about 3 billion. That of course is an awful lot of fish. But then look at a picture like this and bear in mind the technology that allows the boats to pinpoint the vast dark shoals in the water so that they can lay their nets around them. Towards the end of the interview he complained that by feeding in Icelandic waters the mackerel were getting a ‘free lunch’. Now I can’t claim to be any sort of expert and I certainly don’t know enough to be sure o who is right and who is wrong in the arguement. But to be blaming the mackerel seems a little unfair. If we were talking about cattle and a farmer who was letting his cows feed in his neighbours field you might be able to see why the neighbour would get aggrieved. 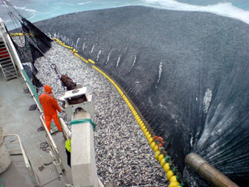 But the mackerel have no choice where to go and to start on a process whereby you end up putting at risk their sustainability seems stupid and wrong. He doesn’t answer but takes another sip at his pint. We both look out through the window over the great bulk of water that is Dunmannus Bay. Here it is about half a mile wide, further up by the heads it is five miles across from The Sheep’s Head to The Mizen. There was an anger in his voice then and he turned away to look over the bar. ‘Mary,’ he calls, ‘Mary this idiot thinks they’re going to be catching all the mackerel so there is feck all of them left. Mary take this note here and put it behind that bottle there and make sure he gets a good pint when the mackerel are gone for good.’ He passes over a note and Mary tucks it behind the till. 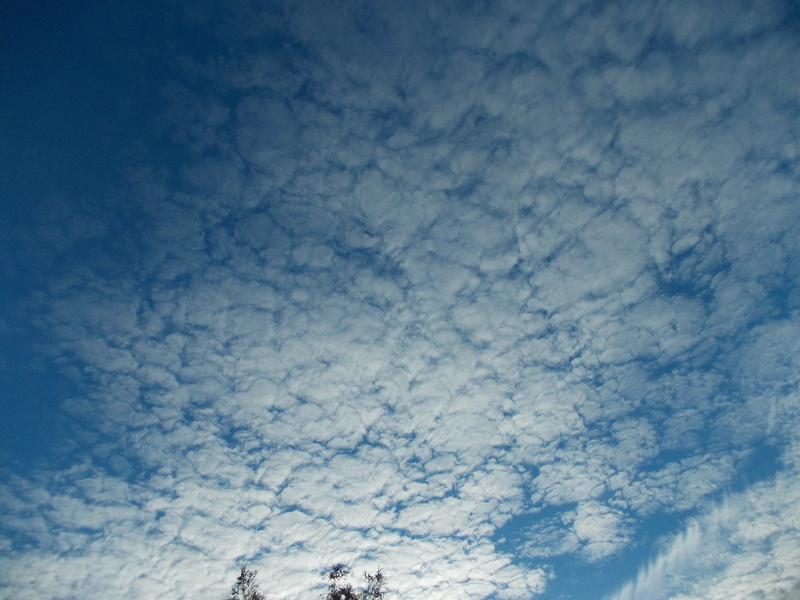 ‘Look at the sky now it is a mackerel sky. See how the clouds are lined up and the blue behind is like those black marks over a mackerels back. You get rid of the fish you can rub out the sky and that will be it.’ He tips up his pint and drinks to the fish. I join him and the back out in the bay a mass of mackerel churns on the blues silver and green turning ever on chasing sprats.